Kemi Online ♥: GTA V Online - $500k Bonus! 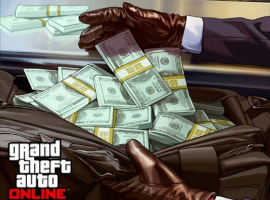 GTA V Online - $500k Bonus! Currently everyone who adds 2-Step verification to their Social Club account (and anyone who already has) will received $500,000 dollars in GTA Online. (Or 10 Gold Bars for those who play Red Dead BETA Online) Rockstar are just amazing to us. Such a great incentive for the weekend, have a great one!